Studies of battle fatalities from Vietnam through the current unpleasantness give us a great deal of information that can help medical support personnel address wounds effectively and avoid fatalities in the field. These studies found that 31% of all battlefield injuries were due to penetrating head trauma, followed by uncorrectable torso injuries (25%) and correctable torso trauma (10%). Nine percent of injuries result in fatalities due to extremity exsanguinations, where one bleeds out through his/her extremities, and 7-10% are fatalities due to blast trauma. 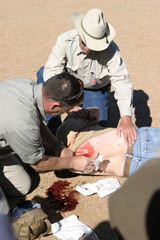 Gunsite’s Tactical Medicine course addresses the preventative measures a military surgeon and field doctor can take to reduce battlefield fatalities. I was lucky enough to be given a guided tour and demonstration of medical practices and helicopter response by Gunsite’s own field doc and medical expert. The doc started off with a discussion of a field trauma medical kit. The kit has to be small enough to wear and must contain few items, as there are only certain conditions in which one can deliver effective medical care. First, he counsels that no minor medical and first aid items be included. This kit is for serious injury, including gunshots and injuries related to explosions, not minor illness or injuries. 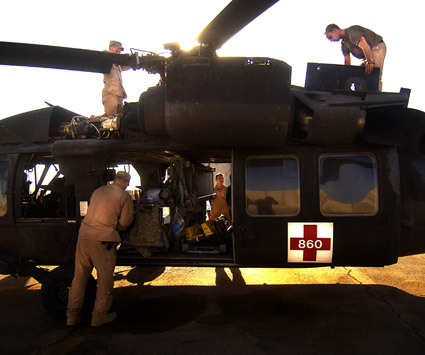 It’s for assisting with the most likely combat injuries we can effectively treat. He figures we could cut fatalities by 15-25%– a not inconsequential number. Fatalities can be reduced in nearly 2/3s of the most commonly experienced medical circumstances on the battlefield because we can effectively treat blood loss in the field. Another 1/3 of common injuries that lead to fatalities consist of chest injuries, which can also be assisted in the field. In a small number of cases, dealing with breathing issues can see a patient through to competent medical assistance. The doc went on record saying that the maligned tourniquet was the most effective life saving device a field medic can have. There is a range of manufactured tourniquet devices and some that are homemade. However, each has its advantages and disadvantages. As stopping blood loss is the first priority, the ability to use the tourniquet is critical. 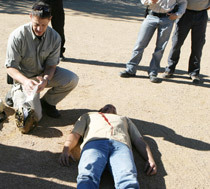 We can lose a solider or trooper in two to three minutes from a breached femoral artery. Clotting chemicals were mentioned as well. The doc said that they work, if you know what you’re doing and you’re not afraid to do it. Some of the compounds are better than others. Some are quite expensive and some fragile. He continued on with a discussion of tension pneumothorax and sucking chest wounds. We then repaired to the Shot Quad. 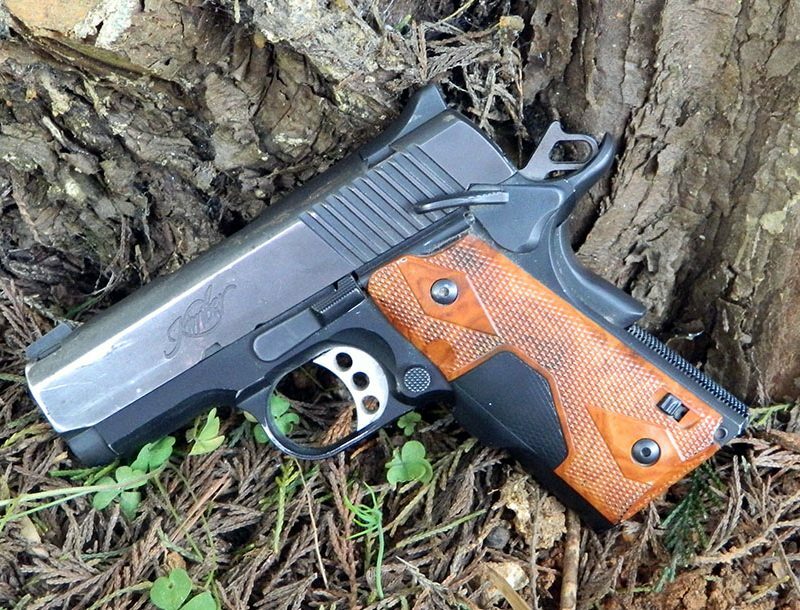 A role-player was down with an apparent gunshot wound. The doc talked us through treatment at the scene. Soon, a medical helicopter and an ambulance arrived. We got to look the chopper over and discuss its mission with the helicopter crew. 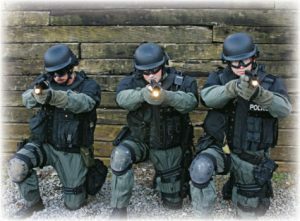 The Gunsite Tactical Medicine class sounds like a much-needed course for general law enforcement practitioners, response team members, firearms instructors and military operations personnel.